Any trader who has been around for a while would clearly know the importance of using a testing tool such as Forex Tester. Having evolved over the years, Forex Tester, which now is at version 3 has indeed come a long way in terms of offering traders a tool where they can practice their trading while also being able to back test their automated trading strategies. At version 3, the Forex Tester 3 has indeed come up with some and advanced features. 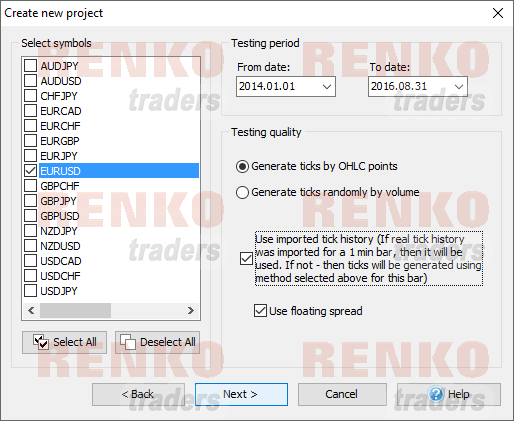 As one might have guessed by now, the biggest feature upgrade for me has been the ability to use Renko charts or Renko bars on the Forex Tester 3 platform. 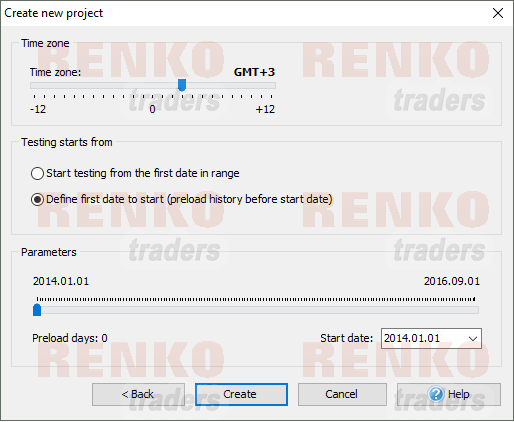 For those who are new to Renko charts, the Forex Tester 3 can be a great way to get started. 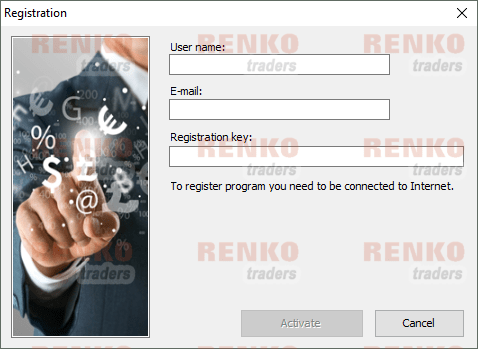 Not only to see and understand how Renko charts work but also to get acquainted with the markets and to hone your trading strategies. Forex Tester 3 is a trading simulator that allows you to practice manual and automated trading strategies, giving you complete control of just about everything! Why use Forex Tester when you can use a forex demo account? This is a question that might come to your mind, as it did for me. 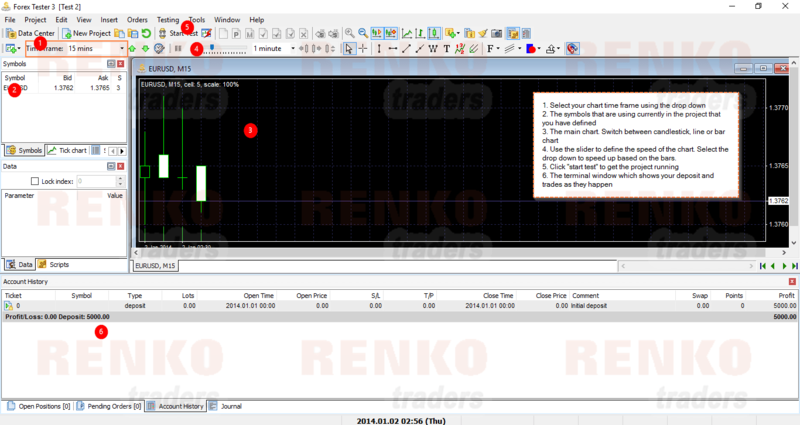 To put it broadly, yes you can use a regular MT4 demo account, load up the Renko bar indicator and test your strategies. But, you need to be patient as the markets continue to evolve. Meaning, whether it takes 5 minutes or 5 days for your open orders to hit the take profit or stop loss level, you simply have to wait. 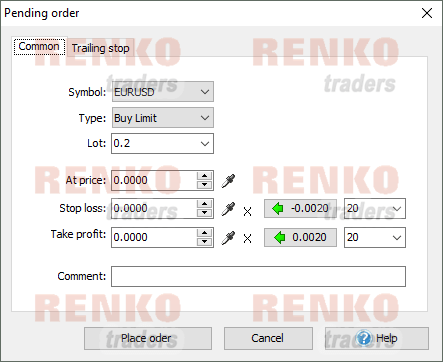 With Forex Tester 3 Renko charts testing, you can simply use the slider and control the speed of the data. This way, what would take you at least a month using a demo MT4 trading account can be achieved perhaps in a couple of hours. By being able to control the speed of the market data in Forex Tester 3, you can go back in time, revisit your traders, stop when you want to place an order and use the slider to speed up the market data to see how your trade set up performed. Now that we got the most basic and perhaps an important question out of the way, let’s get on with the details. 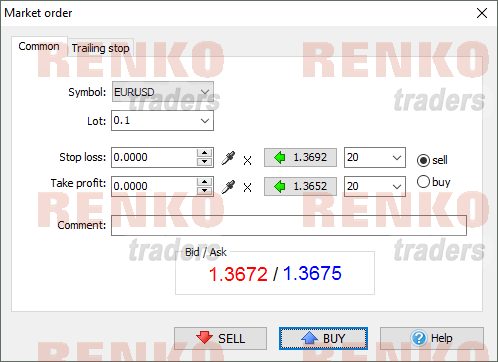 Watch the video below which explains how to use Forex tester 3 with Renko charts or continue to read on below for step-by-step instructions. Getting started with Forex Tester 3 is in fact very easy. After doing a fresh install, it took me about 10 minutes from installation to running my first mock trading. The steps involved are broadly classified as follows. After you have downloaded or upgraded to Forex Tester 3, the first step is to register your account. To do this, simply go to Help>Register Program and enter your User name, E-mail and registration key and click Activate. In the next window you can then set the date range. Remember that the longer the date range, the more time it takes for the data to be downloaded. Select either the 1 minute history or 1-minute and tick history and click update. Now that the data download is complete, the next step is in getting started with setting up the project. It is important to give your project a familiar name, so you do not mix up everything together. To set up a new project, click on Project> New project. Enter the name of your project and the initial deposit. (Remember that the leverage, spread, swaps etc. was already chosen at the time of downloading the data). Once you click ‘Next’ you can then select what symbols to be shown for the project. You can either select all or just a few symbols. You can also choose the Testing period. For testing quality, select Generate ticks by OHLC points to get the best and most accurate data. You can also choose to select “Imported tick history” option if your download was tick history instead of 1 minute bars. When you select this option, you can use floating spreads. In the next window, you can select the time zone. Use the slider to set the time zone of your choice and select the testing start period from. You can either start from scratch, meaning that you can select the testing period from the first date in the range that you defined in the previous step (refer to the previous screenshot) or simply use the second option ‘Define first date to start’. Use the slider to pre-populate the chart. Click ok to have the new project opened. On the right side of the screen, you will see the symbols that you selected. In this example, only EURUSD was used in the project. To select the time frame for the chart, use the drop down and select the time frame. In this example, we are using a 15 minute time frame. At the bottom of the screen, you will see the terminal window showing you the deposit amount. The chart below shows the key functions in the project that you will find useful. Now that we have the project up and running and also with the charts loaded, it is time to add indicators. To add indicators on Forex tester 3, right click anywhere on the chart and select ‘Add indicators’ from the menu. It is very straight forward. You can also customize the chart, by right clicking and selecting chart properties. From here you can make your own customizations just as you would on your MT4 trading platform. The chart below shows a custom template with the envelopes indicator applied and some random drawings to illustrate the power of Forex Tester 3. 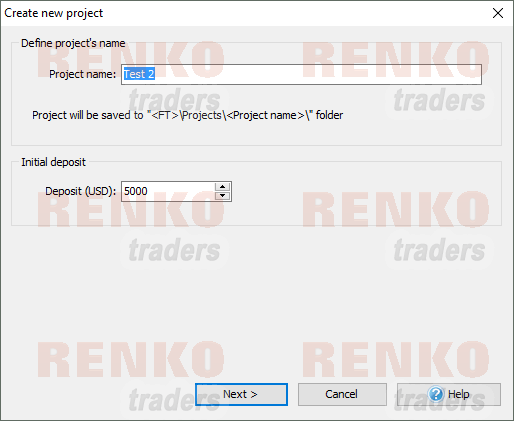 Now, probably the most important bit of this review of Forex Tester 3, which is how to use Renko charts on this testing platform. Depending on the number of instruments you have in your project you can then select which instrument you want to build the Renko chart for. Here, we use only EURUSD, so we select that option. You are now prompted to set the Renko box size. The default is 5 (5 pips, 4 decimals) and you can change this to your preference. Once you click Ok, the Renko chart opens up. You can do the same customizations and add indicators as outlined earlier in this article. The chart below is a final customized Renko chart with Bollinger bands and RSI added to the indicator. Now that the charts are set up, you can control the speed of the data and place your buy/sell orders accordingly. You can use the keyboard shortcut of F2 to open the order window and place the trades accordingly. Or click F3 to set up pending orders. Forex Tester 3 is perhaps one of the most widely loved trading tools for the more serious trader. If you really want to be a professional in trading, then having a copy of Forex Tester 3 is indeed a must have. Forex Tester 3 costs $299 for a completely new purchase. Although it might sound expensive to some, this is worth investing your money, rather than subscribing to trading signals or buying strategies that don’t really work. Every purchase of ForexTester 3 comes with a 30-day money back guarantee. You also get a 10 sample manual trading strategies and 14 years of free historical data. If you want to test drive ForexTester 3 you can use the demo version, which is fully functional but testing is limited to only 1 month. Click here to buy your copy of Forex Tester 3!